Last time I worked on the 86 was when Thaison and I gutted the interior. The only stock trim Im keep is the dash. That was back in Febuary. 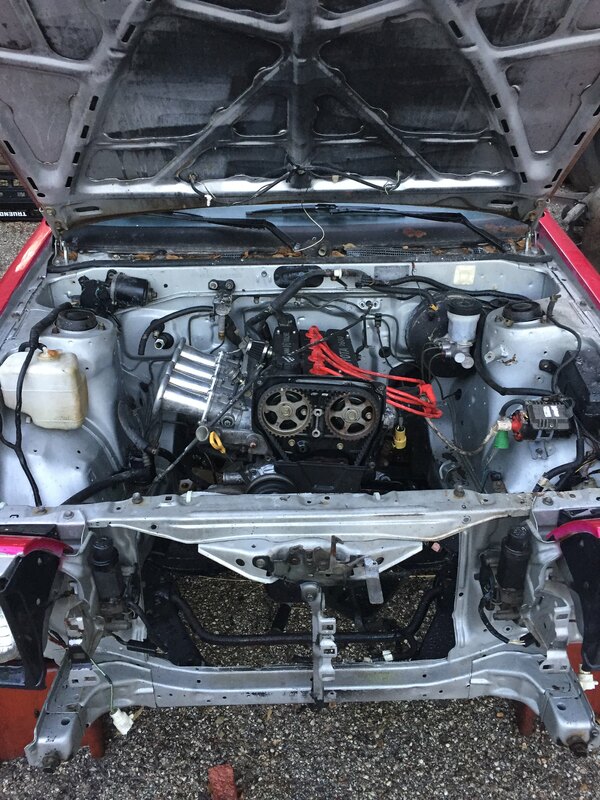 Fast forward to June and Thaison was able to pull out the old motor, to make room for a high comp, 4age motor. This motor came from Thaison’s Black Limited and already has ITBs, and stand alone ECU. Those where the two things I really wanted. ITBs just sound better, and produce less heat then boost. The stand alone ecu gave me tuning options, for more mods in the future. We did tackled maintenance items for a more reliable track car. While the motor was out, we replaced the water pump, thermostat, and the belts. I ordered an oil pump but after cleaning the motor, the pump looked like it was recently replaced. All good, at least I have some parts. 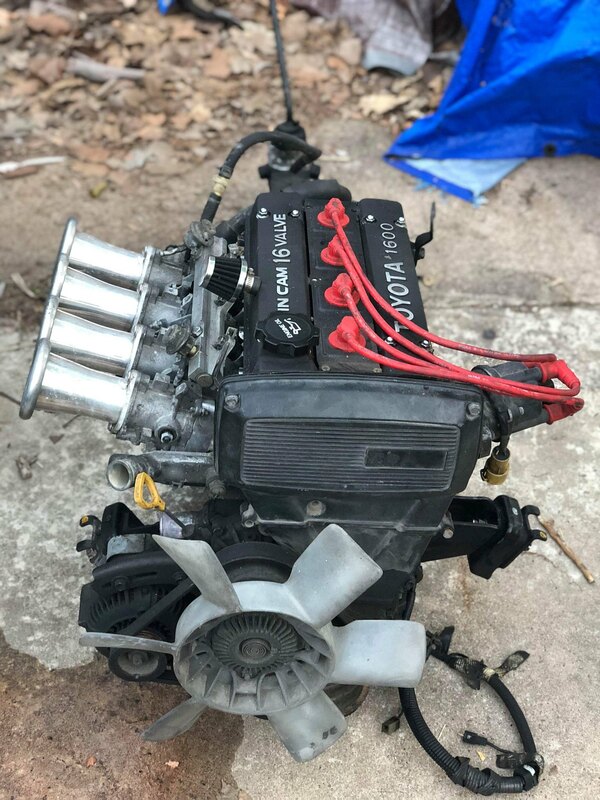 In one day we did the maintence and dropped the motor in!!! She still needs more work but its getting there. I have acquired most of the parts already and its just finding the time to work on it. Hopefully by the end of year Ill be able to take the 86 out on the track.